Now that the dry days of winter are over, it’s time to shed a few layers — from your skincare routine. While Korean-style multi-step regimens are gaining popularity these days, the truth is that if you’re someone who tends to get oily, wearing eight products on your face at once is just going to make your complexion look greasier, faster. Luckily, beauty companies are constantly innovating ways to infuse pretty much any product with SPF, from your moisturizer to your setting powder. And this season, there are a few new options that not only nail it in the texture department, but pack souped-up skincare benefits, too. Their multitasking nature makes them particularly good for oily types, or for anyone who feels the need to lighten up their skincare for spring and summer. When it comes to protecting skin from environmental damage — that includes free radical-emitting sources like pollution in addition to UV rays — the latest research shows that antioxidants are as non-negotiable as SPF. Your best option is a serum containing vitamins C and E, and now La Roche-Posay, the L’Oréal-owned French pharmacy brand that makes some of the best sunscreens on the market, has just launched an antioxidant serum that packs a whopping SPF 50, too. The Anthelios AOX Daily Antioxidant Serum with Sunscreen ($42.50) is lightweight enough to layer under moisturizer, but if you’re not too dry you can get away with using the serum alone. How’s that for easy? 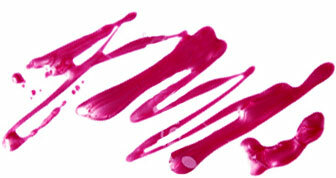 Pore and wrinkle-blurring powers, collagen-boosting peptides and non-chalky SPF? 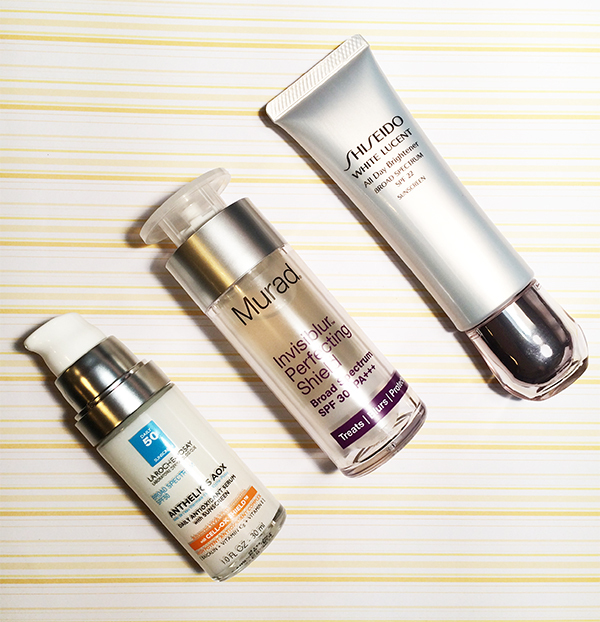 That’s a pretty good-looking trio, and you’ll find all three in Murad’s new Invisiblur Perfecting Shield Broad Spectrum SPF 30 ($65). The clear gel has the silky texture of a primer and leaves skin looking Facetuned IRL. What it doesn’t have is the greasy feel that tends to plague similar silicone-based primers, thank goodness. It may not be obvious from the name of Shiseido’s White Lucent All Day Brightener Broad Spectrum SPF 22 ($57) what it actually is. That’s because the product defies categorization: it’s part lightweight lotion, part brightening treatment and part light-reflecting primer. The formula features golden shimmer particles that give skin a subtle, dewy glow as if your complexion were bathed in California sunshine. Of course, the SPF and time-released antioxidant vitamin C ensure that UV damage isn’t part of the equation.